← Can we have our boat back now!?! Back on “Pablo”. 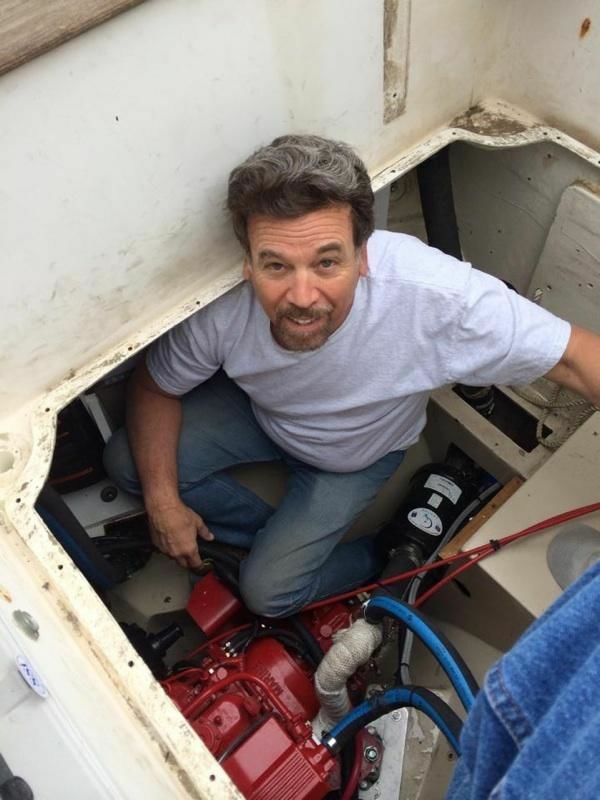 Vince and I are working on the boat this weekend (Sherri had to stay home and work her regular job) The rigger has completed installing all the standing rigging and she looks great. Now lots of work! Spent most of the day learning the engine and fuel systems. Fixed some things, caulked some holes, worked with Vince to get things back in order. Was startled by sea lions playing around the boat just before going to bed. Worked with the electrical system. Figured out the battery charger. 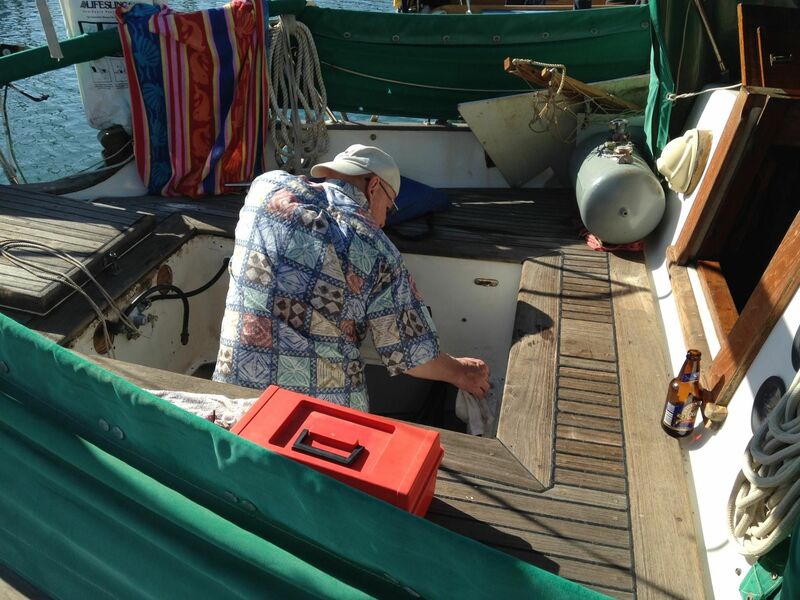 Spent much of the time – with help of Vince and our dock neighbor s/v Chugalug- adding much needed water to the batteries, which are located in a hard to get at location. Vince got the outboard motor running and we had a nice dinghy ride. This entry was posted in Uncategorized and tagged Channel Islands, Learning, projects. Bookmark the permalink.